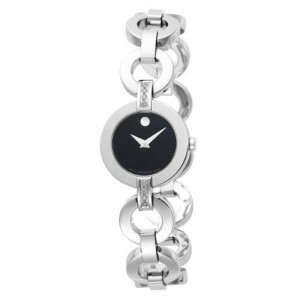 The lovely and spirited 606263 Movado Belamoda Women’s Watch is a charming timepiece that will highlight a lady’s wrist with luminous flair. Crafted from gleaming solid stainless steel and accented with sparkling diamonds, this feminine wristwatch will suit almost any occasion as it complements professional work attire or casual weekend jeans. The 606263 Movado Belamoda Women’s Watch is notable for Movado’s signature numberless Black Museum Dial with its iconic dot marking 12 o’clock. The dramatic stainless steel circular-link bracelet with glimmering bezel-bridging diamonds heightens the watch into a delightful jewelry piece, completing an effect that is both elegant and engaging. The 5.5 millimeter bracelet is secured with a jewelry clasp. Powered with precision Swiss quartz movement, the 606263 Movado Belamoda Women’s Watch features silver-tone watch hands protected beneath a scratch-resistant sapphire crystal and encircled with a stationary bezel. It is water-resistant to 99 feet which means it will tolerate dunks and splashes, but is not suitable for swimming or diving. Movado’s legacy of design innovation is evident in the 606263 Movado Belamoda Women’s Watch as it captures the essence of distinguished artistry and superior craftsmanship. It also reflects the radiant spirit of the woman who wears it. 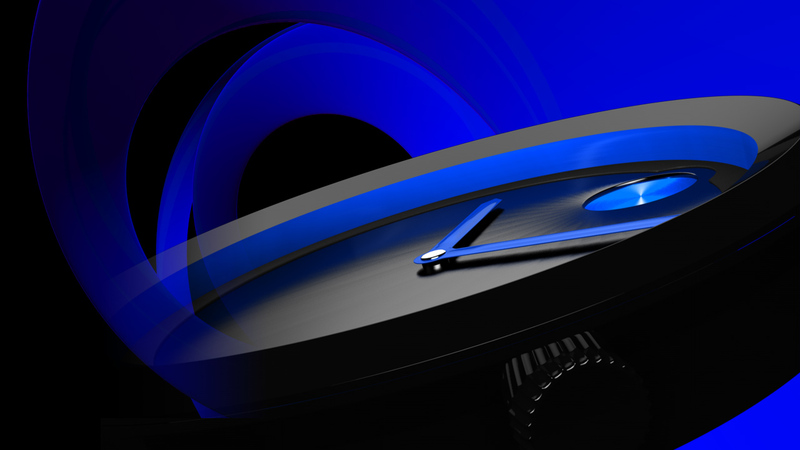 This watch is available at all authorized Movado retailers.